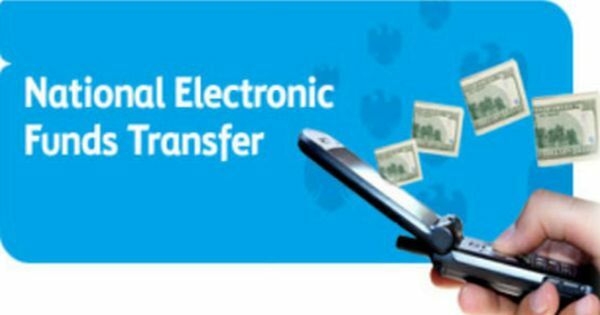 The National Electronic Fund Transfer (NEFT), used by almost everyone to transfer money quickly, can also put the receiver in a difficult position. The main reason is, there are no details available about the remitter or sender and if the amount is large, then the recipient may end up facing Income Tax (I-T) Department queries. Remember what happened with Aishwarya Rai, when in 2006 she received a parcel containing 23,000 euros (around Rs14 lakh at that time) sent by an unknown person from the Netherlands? Well, with banks hesitating in sharing details of the person or entity who is transferring money via NEFT, it may be you next time. Although the Reserve Bank of India (RBI) has directed banks to furnish appropriate details in passbook or account statement for credits sent and received by the customer through NEFT, all the recipient gets is just a name and amount. “A very generic mention as ‘NEFT’ or ‘NECS’ does not help customers in identifying the source of credits, particularly where multiple credits are afforded to their accounts through these products. The Core Banking Solutions (CBS) of banks should be enabled to capture complete information from the relevant fields in the messages, data files which can be displayed to customers when they access their accounts online or provided to them additionally when they approach the branch counters, help desks, call centres,” the RBI had said. However, all the recipient gets to know is just a name. There are no details like sender’s PAN number, address and the cause/remark for the money transfer. Often money launderers are found using bank accounts of low-income individuals for transferring money. In addition, due to the forceful implementation of the Jan Dhan Yojana, we have about 10 crore new bank accounts, out of which 73% do not have a single penny. But consider that tomorrow, if somebody uses these accounts to launder money, then without detailed information about the remitter, how is a poor Kalawati supposed to answer queries from the authorities, including but not limited to I-T department. In the absence of detailed information about the remitter, how will she explain the unaccounted money remitted into her account through NEFT? Receiving funds from unknown remitters becomes an even bigger issue for non-governmental organisations (NGO), who need to give a receipt as well as I-T exemption certificate. If there is just a name of the remitter, how and where is an NGO, like Moneylife Foundation, supposed to send the receipt? Another issue with NEFT fund transfer is the delay. According to RBI policy, banks need to afford credits to beneficiary accounts or return transactions (uncredited for whatever reason) to the originating / sponsor bank within the prescribed timeline. It also directed banks to move towards hourly settlement starting from 9am to 7pm on all week days and between 9am to 1pm on Saturdays. Yet, it appears that banks are still using the last part of the work-day or first hour of the next day for NEFT transactions. Coming back to the Aishwarya Rai episode, the actor was grilled by the Customs official for two-and-a-half hours at the international airport as soon as she landed in Mumbai from Jodhpur. The parcel was allegedly sent by one Avineshwar from the Netherlands marked to the actress. It arrived at the Foreign Post Office in Mumbai during September 2006. Besides the currency, it also contained a top-brand shirt, a pair of binoculars, a DVD player and other electronic items. Following a notice, Aishwarya’s father Krishnaraj Rai, on 15th November met Custom officials to clarify her position. However, the officials insisted to know details from Aishwarya, due to which the actor had to come to Mumbai to clarify her position. She was shooting for the movie ‘Jodha Akbar’ in Jodhpur at that time. After the enquiry, she was give a temporary clean chit by the Customs. Therefore, it is high time the central bank issues another order mandating banks to share all details of the remitter who is sending money through NEFT or any other payment method to the recipient and actually penalises banks if there are persistent complaints about flouting the RBI’s order.